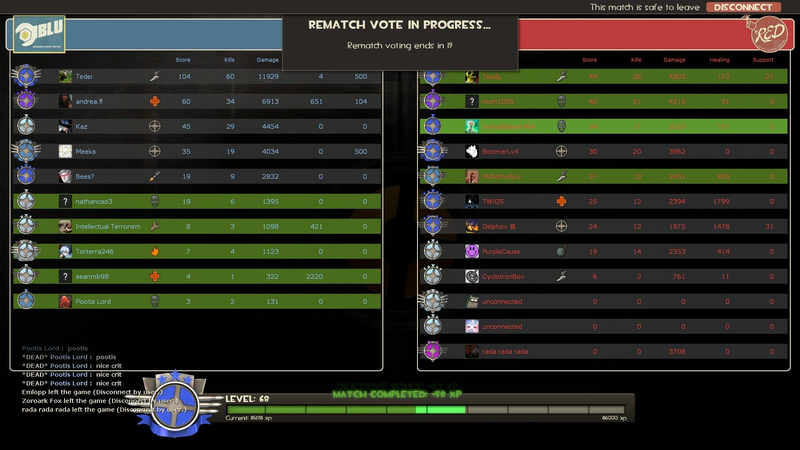 With today's update you are now able to vote for a rematch after finishing your Casual game there needs to be a HUD element to allow you to vote, besides having some new files to modify for that there is also a required XP breakdown animation for the bar that shows up after every ranked/casual game and some small modifications to existing HUD files. 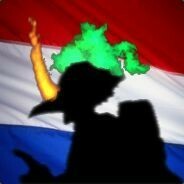 There should not be too many changes required to keep Team Fortress 2 from crashing when there are HUD modifications, but animation changes by Valve are one of the main causes of crashes, so make sure to update these! Crashes at the end of the match in Casual/Ranked Matchmaking are most likely caused by missing animation events in hudanimations_tf.txt. If you are a hud developer make sure you migrate your TF2 animations to use hudanimations_manifest.txt by following this guide to guarantee Valve updating/changing animations is not going to cause issues. When using #base to include the default clientscheme simply updating/extracting to the newest version will result in seeing the fonts for scoreboard connection status, the XP breakdown fonts and the borders for XP breakdown and Rematch vote HUD, otherwise add the following to their respective sections. As always with clientscheme.res changes, you'll need to relaunch your game for any modifications to take effect.